Italy may enter the newly launched shared online poker network in May, according to reports from local poker news outlets. It is believed that at first Italian players will be able to play against peers from other countries in tournaments and sit’n’gos, while shared cash game tables will become available at a later stage. France and Spain gave the official start of the shared liquidity scheme last month, when first shared Franco-Spanish tables went live. PokerStars was the first operator to receive the necessary license to operate shared poker tables. According to PokerScout data, PokerStars Europe seems to be off to a good start. At the time of writing, there are 21,552 players online, with 1,616 cash game players and a 24-hour peak of 3,268 cash game players. Tournament poker stats were also very satisfying. To celebrate the start of PokerStars Europe, the online poker operator recently announced the FRESH (France Espania Hold’em) tournament series. The online poker festival kicked off on January 28 and will run through February 12. Players from Spain and France will be able to participate in 50 different events, including the Main Event with a guaranteed prize pool of €1 million. It was last summer when the online gambling regulators of France, Spain, Italy, and Portugal signed the shared liquidity project. Like Italy, Portugal is too yet to launch shared poker tables. According to recent reports, the country is well into the final stages of preparations and is likely to join the poker network in the second quarter of the year. A number of different reports regarding Italy’s participation in the shared liquidity project have emerged over the past several months. Many even expressed serious doubts over the eventual launch of shared poker tables in the country. Last week, the Undersecretary of State at the Italian Finance Ministry, Pier Paolo Baretta, told local media that there is an ongoing verification process, possibly of technical nature, and that once complete, local gaming officials will be able to proceed with preparatory work and the eventual launch of shared poker tables to Italian players. According to local sources, the upcoming general election in Italy could delay further the country’s participation in the shared online poker liquidity project. However, the latest reports from local media point out that the election would probably not prove such a big of a hindrance to shared liquidity and that Italian players may be able to play against peers from France, Spain, and possibly Portugal by the end of May or sometime in June. While PokerStars is the sole participating operator at present, it is believed that another one is gearing up to join the scheme soon. French online gaming operator Winamax seems to have renewed its initiative for recruiting French- and Spanish-speaking staff for its offices in Paris. 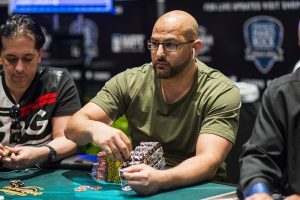 Last fall, Winamax recruited poker pros Adrian Mateos and Mustapha Kanit to popularize its brand across Europe as part of its plans for geographical expansion. Mateos recently posted on social media sponsored messages inviting Spanish and French speakers to apply for a job at Winamax. It is believed that the operator might not be that far from joining the shared liquidity project, although it needs an online gambling license from the Spanish regulator first. Winamax currently operates only in its home country. The post Italy May Begin Sharing Poker Liquidity in May appeared first on Casino News Daily. 0 Responses to "Italy May Begin Sharing Poker Liquidity in May"